Depending on who you talk to, Texas is either the 5th or 6th largest wine producer in the The United Grapes of America and the Lone Star State seems to have found a home for Italian and Rhone grape varieties. McPherson Cellars from Lubbock is featured in the StarChefs.com article and I picked up their 2010 Texas Tre Colore specifically because of the southern Rhone blend of Carignan (27%), Mourvedre (62%) and Viognier (11%). I mean, what a great combination of grapes and this is one excellent medium bodied, easy drinking wine. There are very little tannins in this wine, thus its perfect for consuming solo and the red cherry flavor fits our palette perfectly. Even our Pinot Noir centric friends enjoyed this one. Winemaker Kim McPherson and his father "Doc" were instrumental in jump starting the early Texas wine industry and you can read about that history at the winery's website. 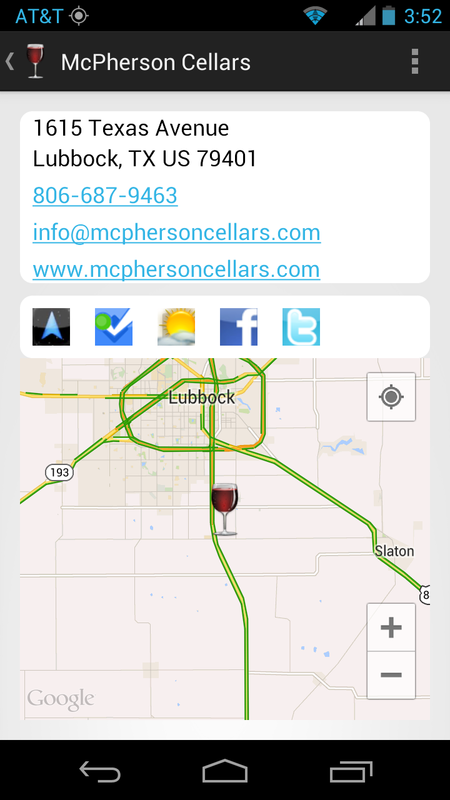 Cheers to a fine Texas wine. 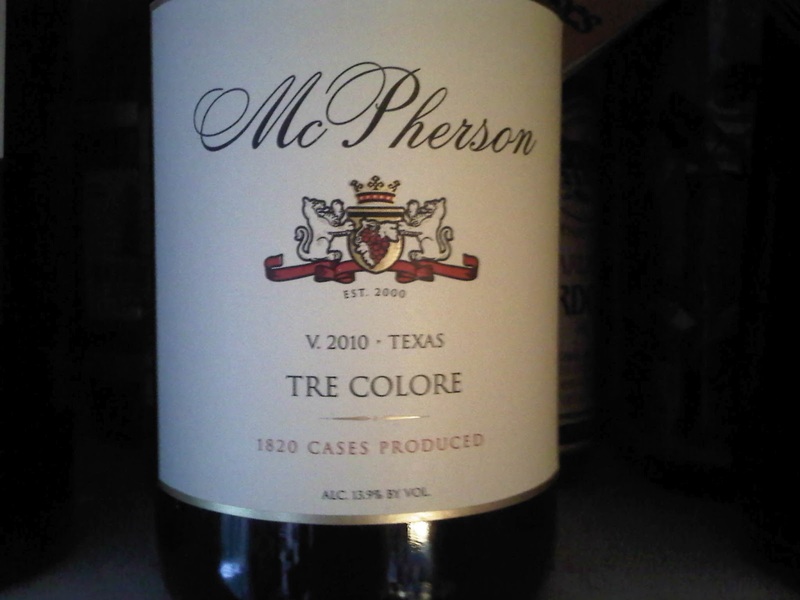 Notes: The Tre Colore was purchased at Wholefoods for $15.